Deanna Shrodes: Want to do something life changing for your wife? Read this and act on it. Want to do something life changing for your wife? Read this and act on it. Earlier this year I was speaking on a Saturday at a women's tea at another church and the pastor's wife made an announcement prior to my message. She said, "Ladies, please make sure you are faithful to church service tomorrow morning. Pastor says we have to stop scheduling events on Saturdays if it affects Sunday church attendance." I could hardly believe my ears! Why? Because I've dealt with the SAME exact thing. Every time we go away to a women's conference with our women I come home and tell my husband how they were touched by God. I share with him many testimonies of the great things that happened while we were away. Then Sunday comes and a lot of them don't show up to church. It never fails on the way home from service, my husband says, "So, where were all these women who were so radically touched by God? Wouldn't it stand to reason that they would come to church if God has done such amazing things in their life?" I have to admit, this disappearing act usually leaves me wondering if God really DID do something all that significant since they didn't bother to show up to church. Recently while preaching in North Carolina I heard a pastor's wife mention she was hoping her ladies would show up for church on Sunday after the conference. She was concerned. Once again I realized, this is evidently a common problem. I mentioned it to the ladies I was having lunch with that day at the conference, among them my friend Sherrill Keller Ellis, a pastor's wife. Everyone agreed the same exact thing happens in their church and we were discussing the "why" of the situation. I believe Sherill hit the nail on the head. She said, "I think it's what most of them face when they go home." Suddenly a light bulb went off. Yes. Her theory makes perfect sense. Most women come home to a mess. They know it's going to happen but they push forward to go to the conference anyway. They are so hungry and thirsty for a break, and for God to do something. When they get there, they are usually encouraged by conference leaders to, "mentally leave behind what they left to come to the conference, and forget about what they'll face when they go home and walk in the door -- and just receive." Every single lady there understands that terminology. There are knowing glances, nodding heads, and some tears. Some of them know they are going home to houses that look like cyclones hit them. With their absence for a few days, things will be messed up, piled up and dirty, with kids bouncing off the walls. Their kids will probably be safe -- that's a good thing -- but no other guarantees. When they get home and all this hits them, it's overwhelming. 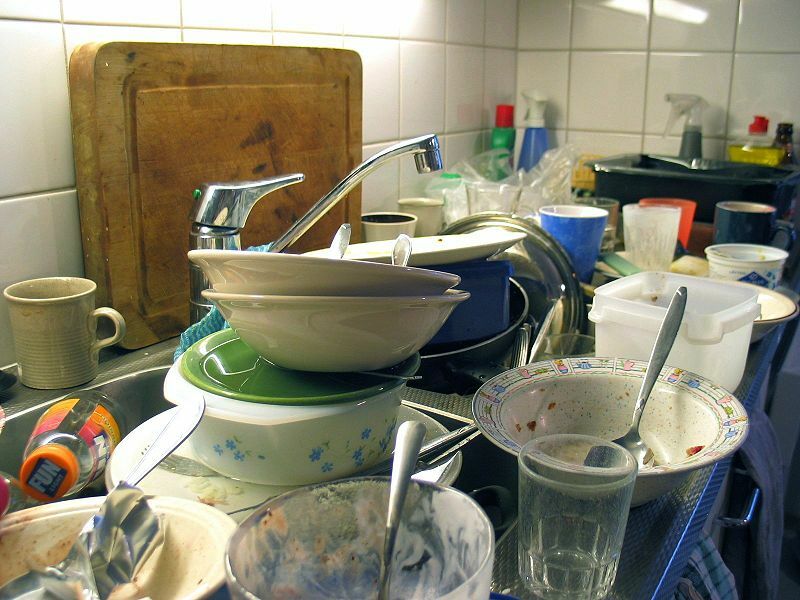 Most walk into their home and are greeted with dishes piled in the kitchen sink and the kitchen counters a mess. Loads of laundry are stacked up. More messes are found in the bathroom and other areas of the home. Survival mode kicks in and thoughts of church and what the Lord did start fading out. They don't even have their minds on Sunday -- instead they are focused on getting all this chaos cleaned up by Monday so they aren't going into the week with this mess. Can you imagine what would happen if women went away on these retreats and actually came home to a peaceful home? I know for some it's a fantasy world beyond imagination but just try to envision it with me. Not only would their time away TRULY be a refreshing all the way around, but they would actually be able to go to church with their families on Sunday and share with the church body what the Lord did in their life over the retreat weekend. My mind is on this because tomorrow I will be with our Celebration Church women at the Pen-Florida District Women's Breakaway. I am praying that all of them come home to peaceful homes. My prayer is that whatever God does in their life Thursday - Saturday is not shoved aside by the disappointment of cleaning up mounds of rubble on Saturday night and Sunday, like Nehemiah trying to rebuild the wall, totally discouraged and overwhelmed. Miracles can happen! 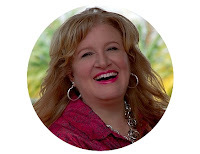 If you are a man who reads my blog and your wife goes away on retreats, this is one way you can really be a tremendous blessing to your wife. It's not just about her going away to a conference to be refreshed and hear from God -- it's about what she comes home to as well. When she comes home to a house that is a disaster it is very depressing to her. She can pray through it and work through it but imagine what life might be like if she didn't have to? Trust me that you will also reap many blessings of your wife coming home to peace instead of chaos. I know I'm going to get some letters in response to this blog post from single moms saying, "hey, what about me?" I know. I know. Ladies, I don't know how you do it. You have my admiration more than you will ever know. By the way, the majority of the time I come home to a peaceful home. My husband works really hard to make it that way. Just to throw some hope out there to those of you ladies who can't imagine this happening for you, things weren't always that way. Prayer, patience, perseverance and maturity CAN change things! We've grown a lot in our relationship. Over the years my husband has realized what a difference this makes and he has stepped up to the plate and made a LOT of changes. He has come to realize that serving me and our family in this way also affects him in a great way, for the better. I will share about this in an upcoming post.